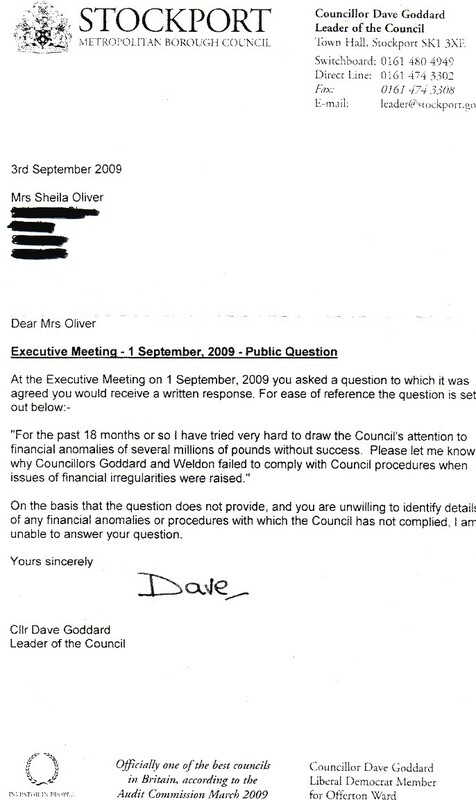 The lies of the then LibDem Leader of the Council, Dave Goddard. I had provided the details of the financial irregularities of several million pounds countless times. I was always ignored - up to and including the present time - January 2015.